The historic Goldenrod Showboat has spent more than a decade moored on the Illinois River near Kampsville, Ill. Inside the lobby is the wheel from a towboat that once pushed the Goldenrod up and down the river. The stage is set for "Joseph and the Technicolor Dreamcoat," the last play to be performed in the theater. The Goldenrod was one of the largest and most lavish of the showboat era. When built in 1909, the showboat could seat 1,400 people. 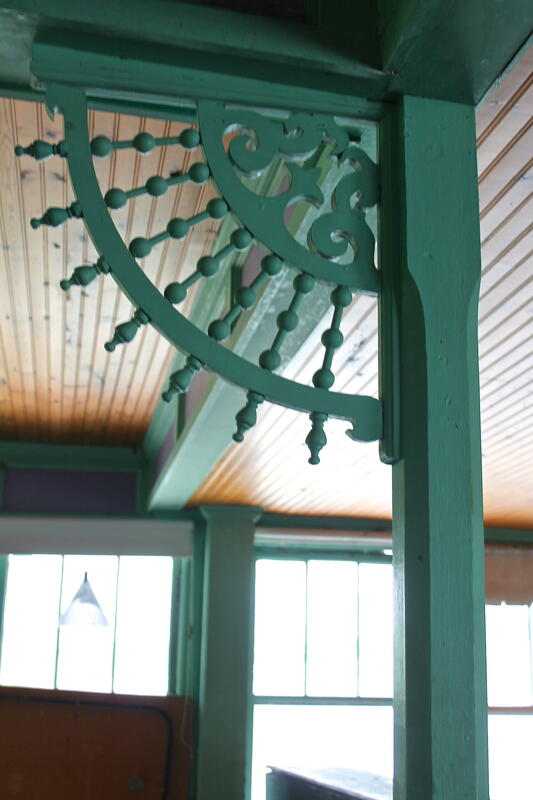 Inside the Goldenrod, a room with a view. An offering left by a paranormal investigator who believes there are ghosts on the Goldenrod. A message for would-be trespassers; the Goldenrod also has an alarm system. The Goldenrod will need a new barge to make it river worthy, according to the Coast Guard. 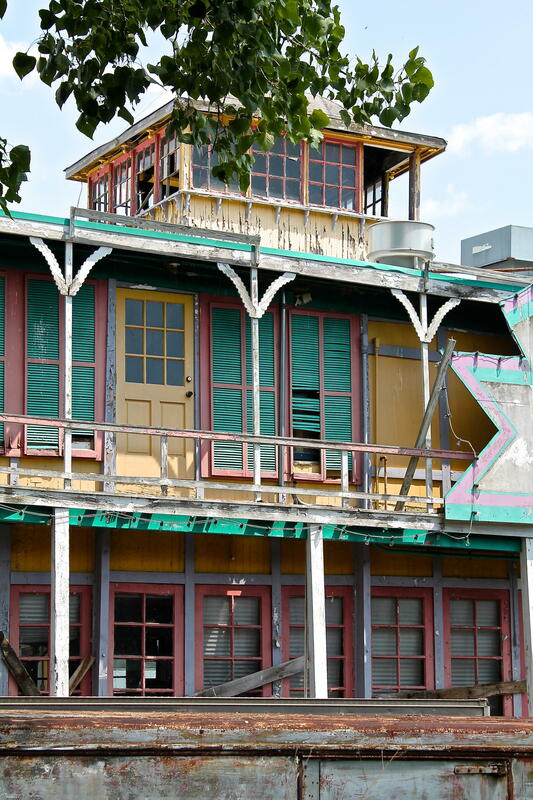 The showboat, which was designated a National Historic Landmark in 1967, is safe for now, say members of the Historic Riverboat Preservation Association. The fledgling nonprofit raised $28,000 for a good-faith down payment to buy the boat back from dock owners who won it in a foreclosure auction last year. The association had owned the boat since 2008. The Goldenrod has been dark since 2001, after it concluded a 12-year run as a dinner theater on the St. Charles riverfront. In recent years, the vessel has been “in storage” -- docked at this riverbank in Calhoun County, about 80 miles from St. Louis -- and flirting with the salvage yard while running up thousands of dollars in unpaid mooring fees. It’s been a sad decade for the river relic that dazzled St. Louis audiences with live theater and ragtime music for 50 years after her traveling days ended in 1937. The Goldenrod is believed to be the last showboat standing -- the last of the floating theaters that delivered entertainment to Mississippi River towns in the early 20th century. The exterior of the showboat is now done up in rust and peeling paint. Her deck is grey and warped. The once-cheerful red and white canopy is in tatters, flapping in the river breeze. View from the deck: The Illinois River flows quietly by. Hugh McPheeters, a retired St. Louis attorney who is president of the nonprofit, says the dock owners want a total of $70,000 for the boat, which is a fraction of the millions it will cost to accomplish the eventual goal: mooring the Goldenrod on the Mississippi near the Eads Bridge and Gateway Arch. Working with McPheeters is a small but loyal crew of “caretakers” -- the youngest is 17 -- who see in the creaky, weatherworn boat a priceless gem of irreplaceable river lore that is worth saving. The Goldenrod is the last remnant of an era that helped to define St. Louis before planes, trains and automobiles. 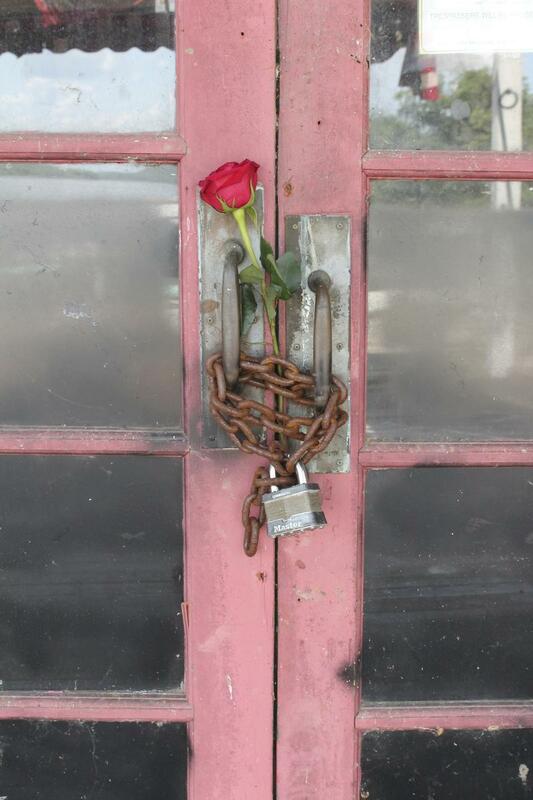 The Goldenrod has been dark since 2001, when it concluded its run as a dinner theater in St. Charles. McPheeters is relatively new to this cause. After seeing news stories last year that the boat was headed for the scrap yard, he joined the group headed at the time by Steve DeBellis, a St. Louisan well-known for his nostalgic publications and love of local history. DeBellis had nearly singlehandedly kept the Goldenrod afloat by setting up the nonprofit to take ownership in 2008. After DeBellis died in August, McPheeters found himself at the helm. McPheeters says his legal background has prepared him well for his new career as showboat saver. As part of a new strategy, the association has changed its bylaws to expand its board of directors and involve more people in its efforts. The group is also planning a fundraiser on Sept. 25 at the Lemp Mansion. Paul Pointer, owner of the Lemp Mansion, is on the Goldenrod’s board of directors. While McPheeters conducts business from his screened-in porch in Kirkwood, the Goldenrod is looked after by Jake Medford, 23, of Jerseyville, Ill., who “adopted” the showboat a few years ago after a buddy took him to see it. They contacted DeBellis who agreed to let them care for it. Medford said his friend is no longer involved, but he felt an immediate connection to the vessel. Jake Medford volunteers as the Goldenrod's custodian. He was 12 when it arrived in Kampsville, Ill.
Medford, who was 12 when the Goldenrod arrived in Kampsville, is now the boat’s official caretaker. He also updates the Goldenrod’s website with historic photos and tales from its past. His knowledge of the showboat’s good old days comes from research -- and what people tell him. Medford works for his family’s oil company but spends many hours on the vessel. A handful of volunteers -- they include a former Goldenrod hostess and a paranormal investigator -- pitch in with cleaning, minor repairs and social media efforts. Much of the interior decor is intact. Once inside, the structure seems surprisingly sound. Much of the interior décor – from chandeliers to gilt mirrors -- is intact. In the lobby, Medford points to a large wheel that is believed to be from the towboat Liberty that used to push the Goldenrod up and down the river. The Goldenrod is essentially a theater built atop a barge; it has no engine. On the wheel is a plaque designating the boat’s historic landmark status. Medford knows every inch of the boat -- from its pilothouse to the theater, where the stage still has props from “Joseph and the Amazing Technicolor Dreamcoat,’’ the last play performed in St. Charles. Among the famous entertainers who once came aboard: Pearl Bailey, Cab Calloway, Bob Hope, Red Skelton and James Earl Jones. The Goldenrod was built in 1909 for W. R. Markle, a successful showboat owner, by the Pope Dock Company in Parkersville, W. Va.
That was three years before the Titanic sank, as Medford likes to point out. It was a sizable vessel -- 200 feet long and 45 feet wide -- with an auditorium that could seat 1,400. It was lavishly decorated and cost $75,000 to build, the equivalent of about $1.8 million today. The Goldenrod traveled the rivers of the Midwest until 1937 when it was permanently docked in St. Louis by Capt. Bill Menke, a longtime owner who bought it in 1922. The Great Depression and the growing motion picture industry had taken their toll on showboating. Longtime St. Louisans may remember watching campy melodramas on the showboat. And for 25 years, starting in the early 1960s, the National Ragtime Festival was held on the Goldenrod. 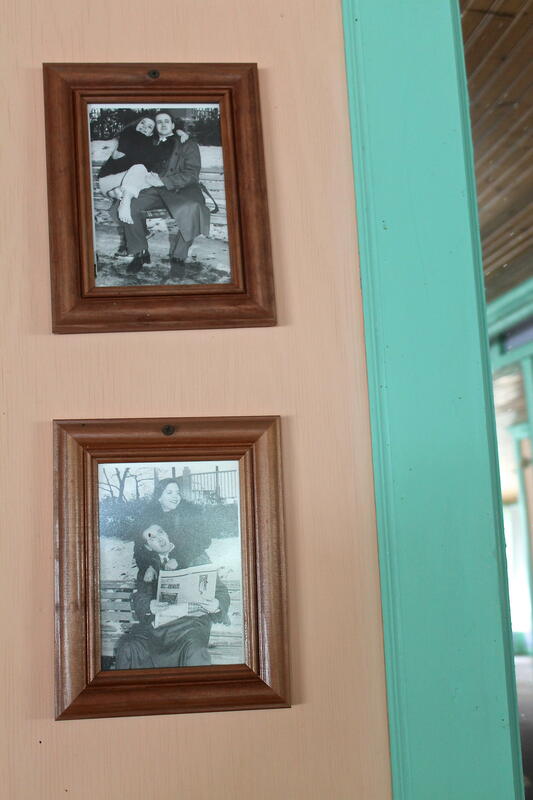 Framed publicity photos of performers still decorate the interior walls. 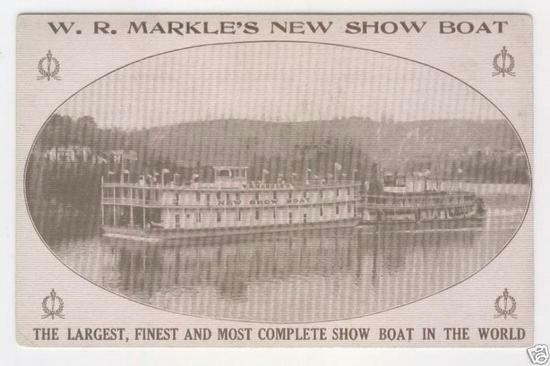 In 1989, the city of St. Charles bought and renovated the showboat to operate it as an attraction on the Missouri River. That ended in 2001 when the vessel was damaged due to low river levels. The city decided to sell the boat, but could find no buyers and eventually gave it to John Schwarz, a St. Charles businessman who presented a plan to restore the Goldenrod and reopen it in an enclosed basin. That never happened. Schwarz worked with DeBellis to set up the nonprofit Historic Riverboat Preservation Association. The group paid nothing for the showboat, and it had no funding source, DeBellis told the St. Louis Beacon last year. He added that the recession had hampered fundraising. “It’s like being given the Empire State Building and given no money to run it,’’ he said. DeBellis had estimated that it would take about $3 million to restore the Goldenrod, but McPheeters says the total cost is difficult to determine at this point. After a recent meeting with Coast Guard inspectors, the preservation group learned that the Goldenrod would need a new barge before it would be allowed to travel the river, McPheeters said. The cost of a new barge would be about $1.3 million – and that doesn’t include any other repairs, he said. The group still owes the dock owners $42,000, but McPheeters said they are considering instead trying to purchase the mooring and adjacent land. That would buy time to raise funds for a new barge and begin repairs. So far, the group has raised about $37,000, mostly in individual contributions ranging from $1,000 to $10,000. In addition to the payment to the dock owners, the group has paid $9,000 to an organization that helps nonprofits find grant money for historic preservation. The website lists as supporters Bob Hermann, a longtime St. Louis civic leader and Ken and Nancy Kranzberg, who support the performing arts in St. Louis. Among the Goldenrod’s more unusual fundraising efforts: Paranormal groups rent the boat for a few hours to hunt for ghosts. The Goldenrod was designated as a national historic landmark in 1967. 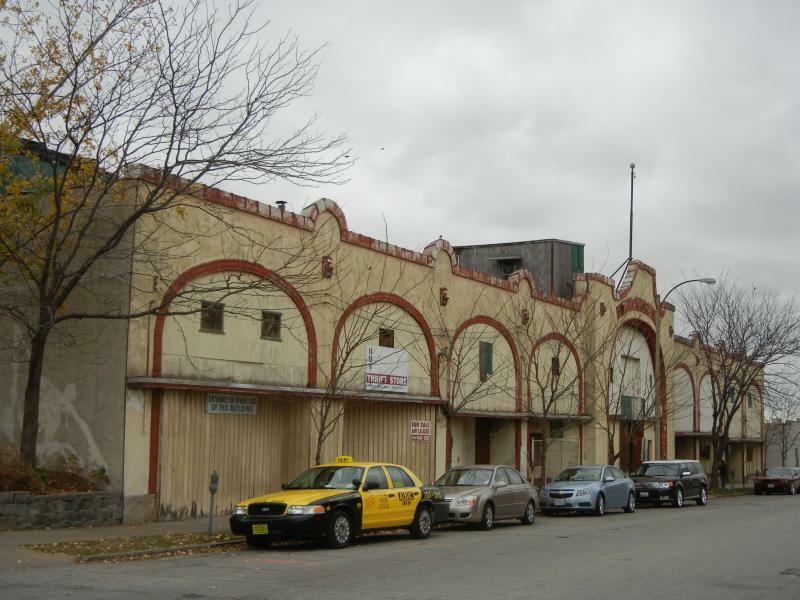 Can This Showboat Be Saved? McPheeters believes the Goldenrod could be an important asset for the St. Louis riverfront, though he recognizes that it must also be profitable and sustain itself. Current discussions, which follow DeBellis’ vision, call for the Goldenrod to be part of an entertainment complex that might include a replica sternwheeler and ironclad boat. The venue would offer food, music and a museum and gift shop, designed to attract both tourists and downtown workers. Michael Allen, a St. Louis architectural historian and consultant, said that having a solid business plan is crucial to long-term success for the preservationists. He points out that the Goldenrod has been gone from the city’s riverfront for so long that many St. Louisans no longer think of it as a local landmark. Allen believes the Goldenrod could serve as a “stand-in” for important river vessels that were not saved. “We have not preserved great steamboats. We ended up scrapping the Admiral. The boats we have on the riverfront today are replicas, and the history of entertainment on the river has all but vanished,’’ he said. He also noted the importance of the Goldenrod’s natural historic landmark status, which puts it in the same league as the Eads Bridge, the Wainwright Building and the Anheuser-Busch brewery. When: 6:30 p.m., Sept. 25. Where: The Lemp Mansion, 3322 DeMenil Place, St. Louis. What: To benefit efforts to save and restore the Goldenrod Showboat for a return to the St. Louis riverfront. A short presentation will be given. How Much: $100 per person ($70 is tax deductable). With An Eye On The Palladium, What's The State Of Historic Preservation In St. Louis? There have been rumors for a couple of years now that the Veterans Administration is interested in obtaining the Palladium building at 3618 Enright in order to expand the John Cochran VA Medical Center. For years, the Palladium was home to The Plantation Club. In a commentary published by St. Louis Public Radio and the Beacon, Pokey LaFarge called for the preservation of the building where jazz greats performed for decades. There’s now another hole in the urban fabric of downtown St. Louis. Piles of rubble are all that remains at the corner of 11th and Spruce streets, where the Cupples 7 building once stood. The 113-year-old brick warehouse was part of the Cupples Station Historic District, a massive complex of 20 buildings that served as the logistics hub for the city in the early 20th century. Today, just eight remain.